Beginning at this posting, which will be about 12:02am Monday morning, September 17th, Home in Henderson will hold our latest contest. 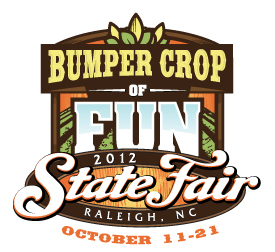 The lucky winner receives 2 general admission tickets to the NC State Fair. To enter, simply make a comment on ANY ARTICLE on our website during the contest time frame of September 17th to September 24th. On Monday, September 24th at 9:00am the contest will close and a random commenter will be drawn that morning. The winner will be notified here, and in their email address they registered with including instructions on how to get your prize. We’ll send you a secret password, have someone come to our office and say the secret password to get the prize. There are some users who do not wish to receive prizes for various reasons. If you do not wish for your name to be put in our random hat to draw from please comment here so we don’t waste time trying to find a different winner if you decline. To clarify, in your comment please say you do not wish to be included in the drawing, as some might want to comment here to discuss the contest itself. Congratulations to Augi, this week’s contest winner! Augi, I’ve sent instructions to your email on how to redeem. Really Really wanted these tickets? Have no fear, another contest will be starting in the next few days for 2 more tickets! Boy, this has been my lucky month. Thank you Home in Henderson for the tickets but more so for providing this forum.